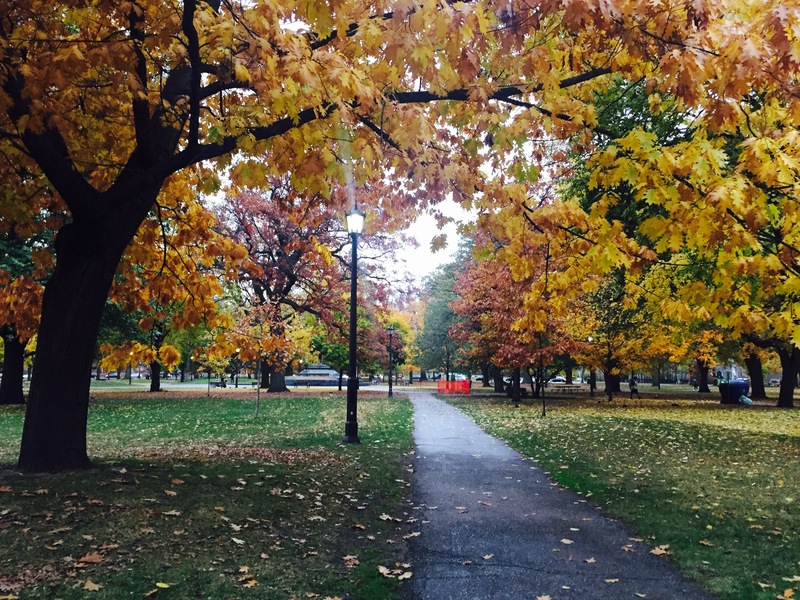 U of T has no shortage of picturesque spots around campus that are perfect places for you to take a moment for yourself to do some contemplation or meditation. 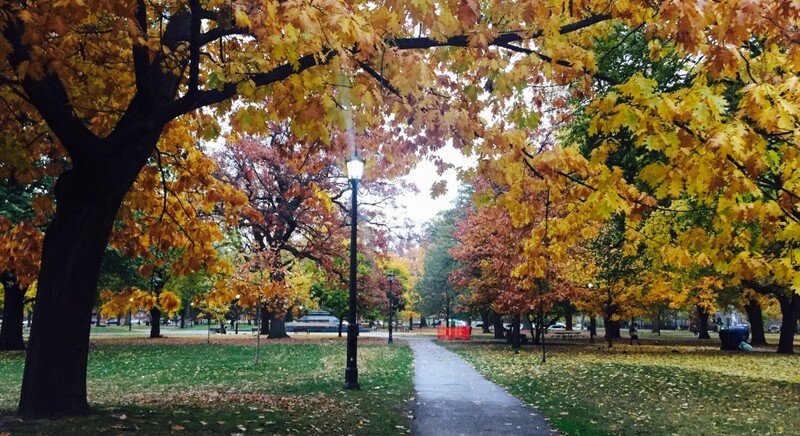 But as it starts to get colder I realise that most of my favorite U of T spots are outdoors. 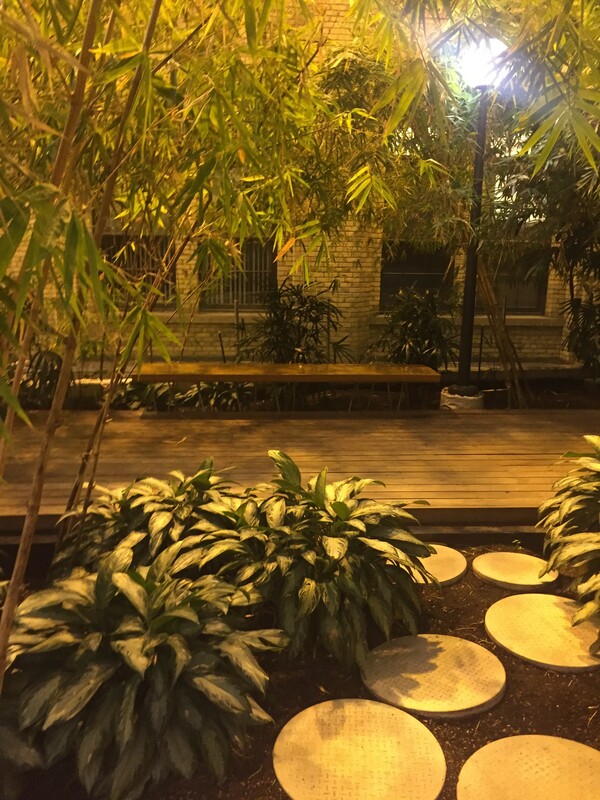 So, here I present my favorite (indoor) places to have a zen moment on campus. As the leaves start to change colour, it’s time to seek shelter indoors. The Bamboo Garden is definitely something that has featured on this blog a few times over the years, and for good reason. It’s a perfect little oasis on campus. The garden features these little enclaves that always feels like you’re “stepping out” of time for a second. You’re surrounded by the green, but you can still see the people on the other side that are walking by. It’s like peering in to a house from the outside through a window (or maybe it’s the other way around). That’s exactly what I like to do here. I sit on a bench and just let my mind wander for a bit, vaguely aware of the people that are passing by or that I’m sharing the space with. Sometimes I just let my eyes unfocus for a bit and try to discern all of the different sounds and pieces of conversations that are wafting through the building. It’s definitely a great place to have a mindful moment. My horrible picture taking skills certainly do not do justice to the atmosphere here. Basically, I’m a fan of any space that you can make feel private even if it’s not. The Davenport Atrium on the third floor of Lash Miller is one of those spaces for me. It’s an open foyer, but there are little clusters of benches and sofas that give you a bit of distance from the rest of the space. 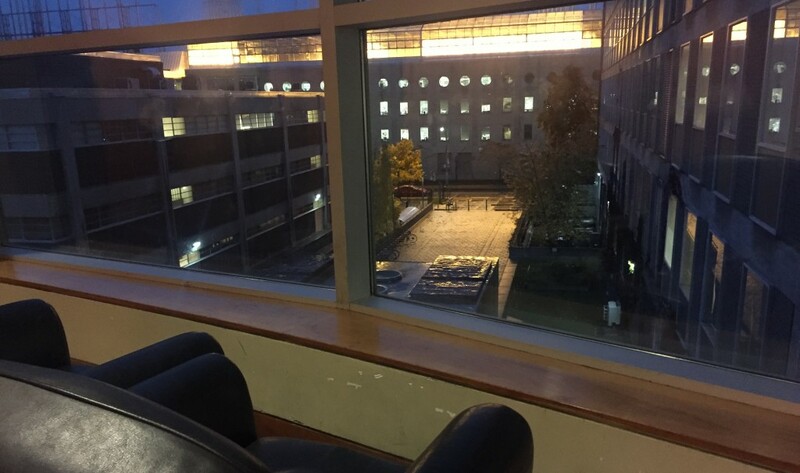 I sit by the windows facing the Earth Sciences building and love to put my feet up on the ledge and free-write or journal there. At nights, the glow from the greenhouse on top of the ES building creates a pretty hue and forms quite a calming atmosphere. 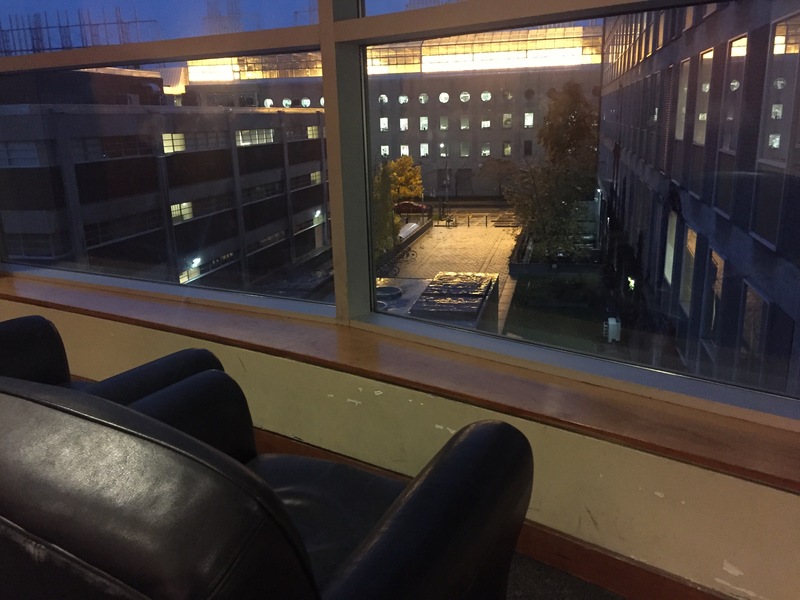 Especially, when the Atrium (and building) starts to empty out later in the evening, it’s a nice place to have a moment to yourself. One of my favorite things about Hart House, apart from the fact it’s a beautiful space, is that it’s basically always open. 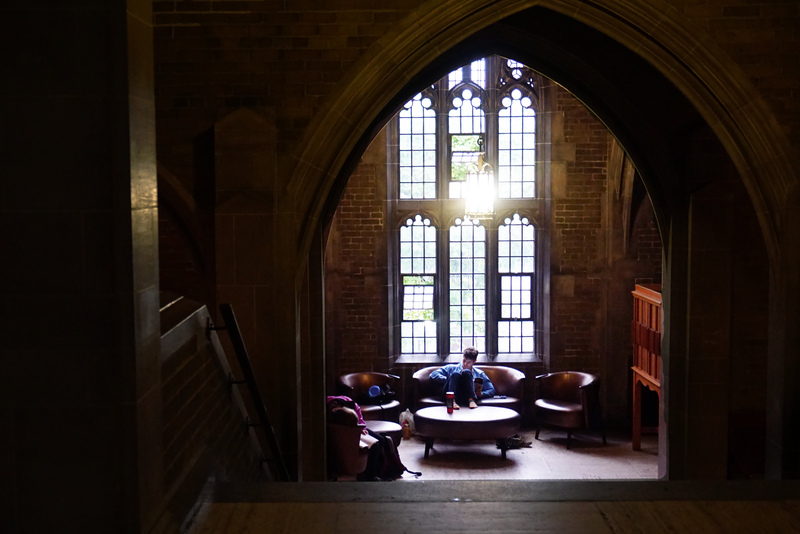 I’m fortunate enough to live fairly close to campus and so I frequent Hart House often during evenings and weekends when it’s a little less hectic. I like sitting on the little chairs that are scattered throughout the second floor landings and hallways and love getting distracted in a good way. That is to say, when I’m writing or just sitting hanging out in these places I stop what I’m doing often to focus on a detail in the architecture or listen to rumbling of carts down the hallway. Since there are a lot of interesting things going on – both in the space and among the people who inhabit the space – it’s another great place to slow. down. and take a moment for some mindfulness. To focus on sights, smells, sounds and just breathe for a minute. 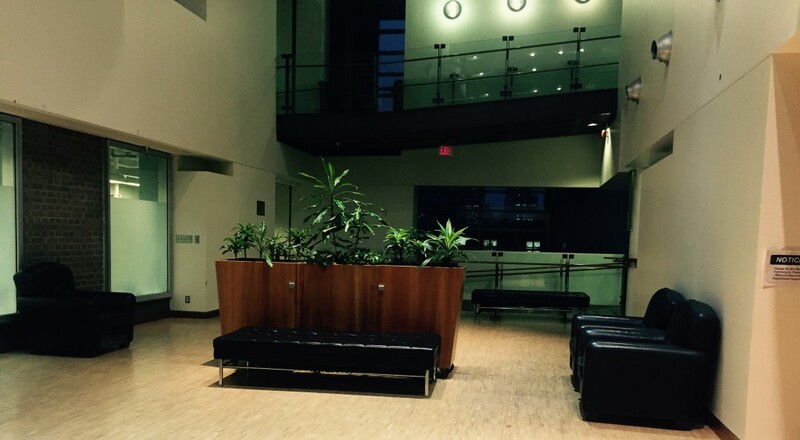 U of T, where are your favorite places to have a zen moment (indoors) on campus? Next Post A brand new experience: balley ball!